To celebrate National Engineering Month, we’re highlighting our creative, collaborative, and advanced team members and the projects they’ve been working on. We do great work for great clients, and it’s all thanks to our great people. In the fourth and final post of this series, Somerset Jarvis, Structural Designer and Coop Student, talks about her experience working on a luxury department store. Tell us about it, Somerset. 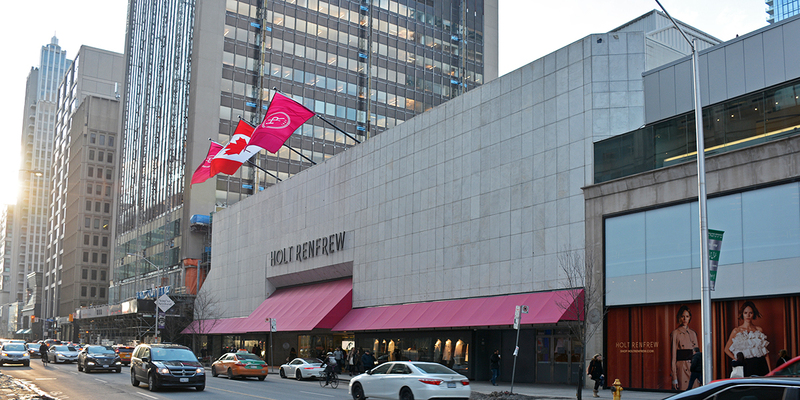 In 2018, Entuitive was awarded to carryout structural design services for the expansion of Holt Renfrew Flagship on 50 Bloor St. West. Our commercial team lead by Jamie Hamelin worked alongside Alex Cochrane Architects to renovate a mezzanine level café as well as collaborated with Gensler and Kramer Design Group to design a new façade and interior. 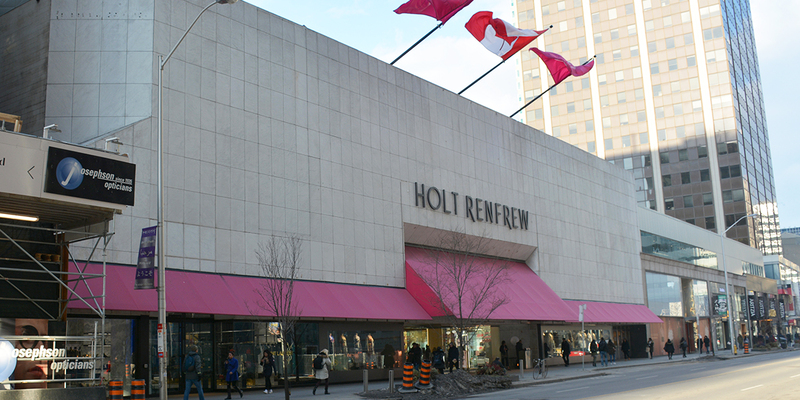 Holt Renfrew is a large Canadian luxury retailer and they aim to keep up with incoming US competition by integrating in-store designer boutiques into the 190,000 square foot space. The project is expected to go out for construction within the next year. My role on the project mainly focused on replacing the existing façade that was built in 1978. This was challenging as the existing Holt Renfrew structure is composed of three different buildings and the façade is expected to look uniform across many different conditions. Further, since this was an old existing structure, the utilization of the current structural elements are unknown. This meant we could not rely on the existing materials and needed to provide reinforcement to the existing structure for our designs. While this presented a challenge to our design team, we used creativity to come up with many different design solutions for each unique case on the façade. The many creative design solutions allowed the façade to be professional and uniform while still adapting to the versatility of building conditions. Further, we received many last-minute complex design changes that required advanced thinking to complete designs in a safe and timely manner. Due to the complexity of the work, this project could not have been completed without the immense collaboration of the wonderful and smart team I worked alongside. Jamie Hamelin, Trevor Smith, Mohamad Abouniaj, Vladimir Pajovic and Raj Thavarajah were all remarkable mentors throughout this project and were very patient, thorough and helpful. This is the second project that I have ever worked on and it could have been extremely overwhelming if it were not for the creative, advanced and collaborative team that helped me along the way. I am very proud of this project because it was an incredible learning experience. My knowledge was expanded technically as I was challenged with unique design and professionally as I learned how to deal with adversity and respond to change. This project showed me how people can really do come together as a team when designer clothes are on the line!